Phone line for 9.00 am to 6.00 pm. Vauxhall Movano II (2013-2016) 2.3 DCI 135BHP M9T 702 Only . Suits all Renault models Listed Below: Renault Master III (2013-2016) 2.3 DCI 135BHP M9T 702 Only . Pipes are new from Renault and have never been used. Compatible with engines Renault 2.0 dCi M9R. Renault Espace IV 2.0 dCi. Renault Koleos 2.0 dCi. Renault Laguna II 2.0 dCi. Renault Laguna III 2.0 dCi. Renault Latitude 2.0 dCi. Renault Scenic II 2.0 dCi. 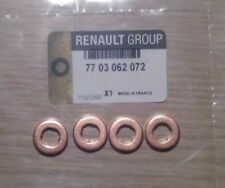 Renault Scenic 1.5dci, Injector (Siemens). Condition is Used. Dispatched with Other 48h Courier. 2006 RENAULT MODUS Injection Rail. This item has been removed from a: 2006 RENAULT MODUS. Model: MODUS. Make: RENAULT. HFIR2514 Fuel Injection Rail. Part Type: Injection Rail. Fuel type: Diesel. Year: 2006. Part Number : 7700111014 0445110021. VAUXHALL VIVARO TRAFIC 1.9 DCI DI DTI CDTI. SET OF 4 GOOD BOSCH DIESEL INJECTORS. Excellent working order along with condition. The car had the larger Bosch injector set up, and these are compatible with both Scenic and Grand Scenic 1.9 DCi models. 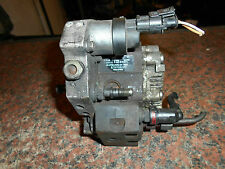 RENAULT TRAFIC 01-06 VIVARO PRIMASTAR 1.9 DCI DIESEL FUEL INJECTOR RAIL & SENSOR I N GOOD USED CONDITION. 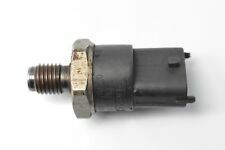 RENAULT SCENIC 1.9 DCI FUEL RAIL AND FUEL PRESSURE SENSOR. WITH WAS REMOVED FROM A 2002 RENAULT SCENIC 1.9 DCI. REF: SCENIC 1.9 DCI 02. 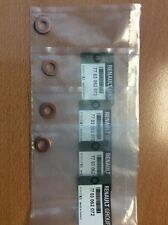 PART NUMBER FUEL RAIL 0 445 214 015 OR 7 700 111 013. VEHICLE DISMANTLERS. Clio Privilege 16V (MK3 Pre-Facelift (Ph1)) (X85) (ABS). Fuel Injector Wiring Loom. 1598cc 111/83 16v. 5 Door Hatchback. Electric Front & Rear Windows, Electric Door/Wing Mirrors. Item Information & Vehicle Details. THIS ITEM HAS BEEN REMOVED FROM ARENAULT LAGUNA 1.9 DCI 2004 (DIESEL) 5 DOOR. Details : RENAULT CLIO CAMPUS 8V Fuel InjectorCLIO 2006. Model : CLIO. Fuel type : Petrol. Make : RENAULT. Part Type : Fuel Injector. Year : 2006. Vehicle Colour : UNK. Our Vehicle Reference Number : 00350123. 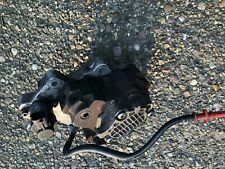 Used genuine Renault Scenic Megane 1.9 DCI 2004 fuel rail sensor,part number 0 445 214 024,8200347,176 H114017 please make sure the part number is right before you buy.any questions just ask. Make : RENAULT. Part Type : Fuel Injector. Fuel type : Diesel. SCENIC 2003 -2009 Scenic 2 - 1.5 Diesel DCi. Year : 2006. Vehicle Colour : UNK. Our Vehicle Reference Number : 02088161. Engine Size : 1461cc. PART NUMBER : 8200821184. ENGINE SIZE : 1.5 DCI DIESEL. INJECTOR PUMP. MANUFACTURER : CONTINENTAL. Our site is spread over 5 acres consisting of a reception area, two large storage buildings, de-pollutions bay, vehicle racking facility, in house crushing/bailing zone. The part numbers are 7700102405 and 7700112777. The Injectors are -3158C00309. 2.0 M9R DIESEL 2007 - 2014. VAUXHALL VIVARO RENAULT TRAFIC. IN GOOD WORKING CONDITION. 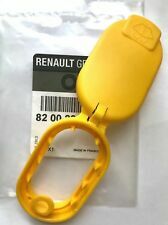 Renault Part Numbers All our used parts are fully inspected tested and cleaned prior to dispatch, and carry a minimum of 3 months warranty. If goods are faulty we reserve the right to Repair or replace them. Renault Clio II PH2 2001-2006. Renault Part Numbers All our used parts are fully inspected tested and cleaned prior to dispatch, and carry a minimum of 3 months warranty. If goods are faulty we reserve the right to Repair or replace them. 2008 RENAULT CLIO MK3. 1.5 DCI 1461cc TURBO DIESEL. FUEL INJECTORS OVER FLOW PIPE. COLOUR: BLUE, CODE: TERNA. 5 SPEED MANUAL. UK MAIN LAND ONLY ! I'M TRYING TO GIVE AS MUCH INFORMATION AS I CAN. REMOVE FROM RENAULT CAPTUR DYNAMIQUE NAV 1.5 DCI,2016 YEAR,90 BHP,5 SPEED MANUAL GEARBOX,PAINT CODE TEGNE BLACK. MY AIM IS TO MAKE SURE YOU ARE ALWAYS 100% HAPPY! 2006 RENAULT CLIO MK3. 1.5 DCI 1461cc TURBO DIESEL. FUEL INJECTORS OVER FLOW. COLOUR: BLUE, CODE: SAN913. UK MAIN LAND ONLY ! 5 SPEED MANUAL. I'M TRYING TO GIVE AS MUCH INFORMATION AS I CAN. ALL MY PARTS ARE TESTED AND ARE IN FULL WORKING ORDER. 98-02 RENAULT ESPACE 3.0 V6 AUTO FUEL RAILS INJECTORS & WIRING LOOM. img ref H-3523 BEHIND TYRE MACHINE - FIRST AISLE - MIDDLE SHELF. F refers to FRONT, R refers to REAR. Northern Ireland . ------------North West. 0445214015, 0 445 214 015, 0-445-214-015, 0445 214 015, 0445-214-015, 0445214146, 0 445 214 146, 0-445-214-146, 0445 214 146, 0445-214-146, 7700111013, 7700 111 013, 7700-111-013, 7700.111.013, 7700109180, 7700 109 180, 7700-109-180, 7700.109.180, 8200347174, 8200 347 174, 8200-347-174, 8200.347.174, 8200661279, 8200 661 279, 8200-661-279, 8200.661.279, 8200948685, 8200 948 685, 8200-948-685, 8200.948.685, 8200600208, 8200 600 208, 8200-600-208, 8200.600.208. RENAULT MEGANE GT MK3 2015 VACUUM SOLENOID VALVE PIPE HOSE 269516045. 2.5 16V DCI 171BHP. TESTED BEFORE REMOVAL AND ARE IN FULL WORKING ORDER. ALL OF OUR PARTS ARE USED PARTS! ALL ENGINES SOLD ARE SOLD AS BARE ENGINE HEAD BLOCK - ANY ANCILLARIES LEFT ON THE ENGINE ARE NOT TESTED. RENUALT TRAFIC 1.9 DCI 2003 ONE SINGLE INJECTOR WITH PART NUMBER 8200100272 AND BOSCH 0445 110 110 A REMOVED GOOD RUNNING ENGINE. We are located at Autoline Motors Ltd, Froghall Stoke on Trent. Make: RENAULT. HFIR1950 Fuel Injection Rail. Part Type: Injection Rail. Fuel type: Diesel. Year: 2011. Vehicle Colour: Silver. Require different parts from this vehicle?. Opening hours. Clio Rip Curl 16V (MK3 Pre-Facelift (Ph1)) (X85) (ABS). Fuel Injector Wiring Loom. 1149cc 75/56 16v. Item Information & Vehicle Details. This item is a used vehicle part and as such may have signs of general wear/handling. REMOVED FROM:2010 1.4 HDI PEUGEOT 207 5DR HATCHBACK 68HP. MILEAGE:175,954. 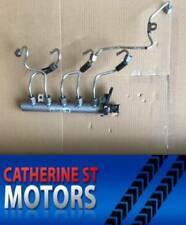 Item Specifics:2005-2009 - 1.2 PETROL - FUEL INJECTION RAIL - WITH INJECTORS - 8200367230. CLIO 2005 -2009 Clio III PH1. Part:Injection Rail. This Injection Rail was removed from a2008 car and has been fully inspected. renault clio sport 182 fuel rail.